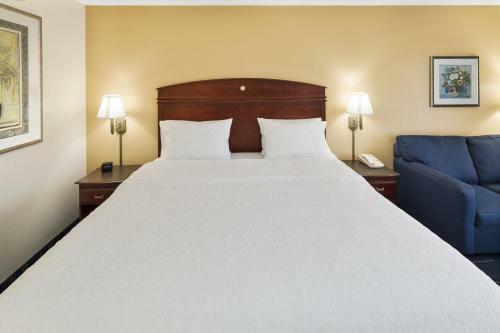 Rooms from $85.80 per night. Description This Hinesville, Georgia hotel has an outdoor pool, free internet access and non-smoking guest rooms. 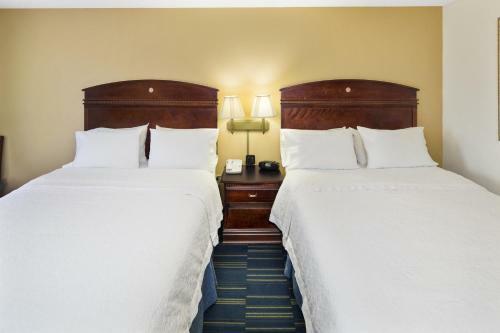 Numerous freebies including breakfast HBO and high-speed internet add up to extra savings for our guests at the reasonably priced Hampton Inn Hinesville where non-smoking rooms are available by request. 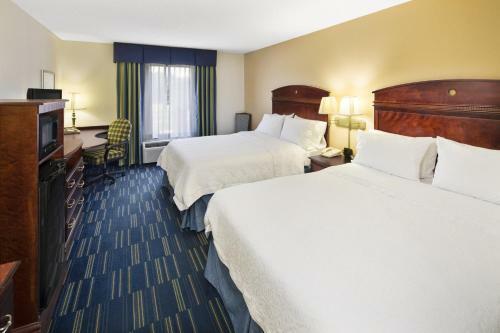 Hampton Inn fans are especially fond of the Clean & Fresh Hampton beds with guaranteed freshly washed duvets. 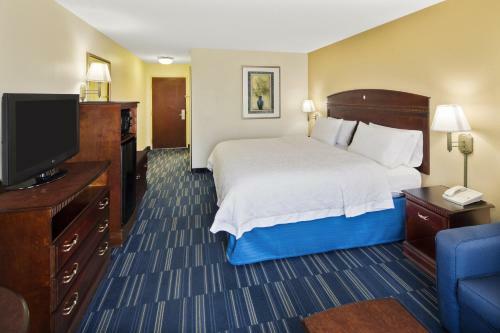 The 60 rooms at this three-story property also come with 32-inch flat-panel LCD TVs with premium cable desks with ergonomic chairs lap desks for working in bed free high-speed internet access dual-line speakerphones with voicemails refrigerators microwaves and coffeemakers. 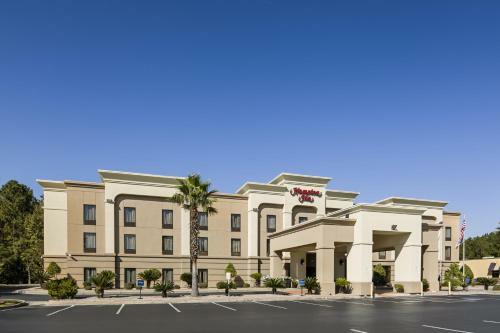 The free breakfast includes items such as pancakes and French toast and for those pressed for time the hotel will send them off with healthy breakfasts to go. 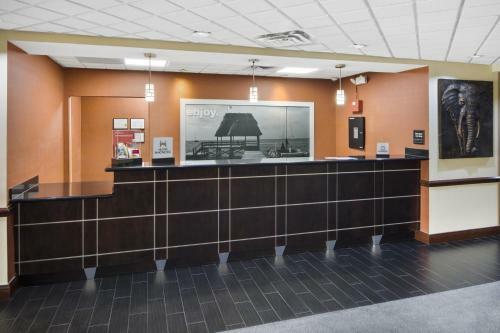 Staying fit is easy with both an on-site gym and free passes to the local YMCA. 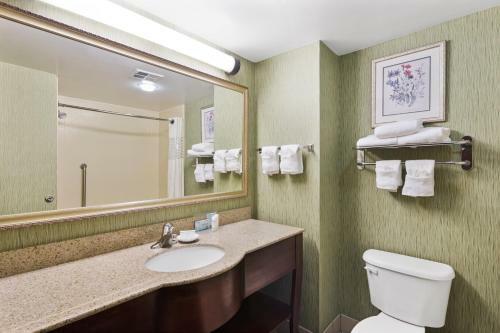 There's also an outdoor pool business center laundry facilities and free coffee in the lobby. Parking is free of charge. 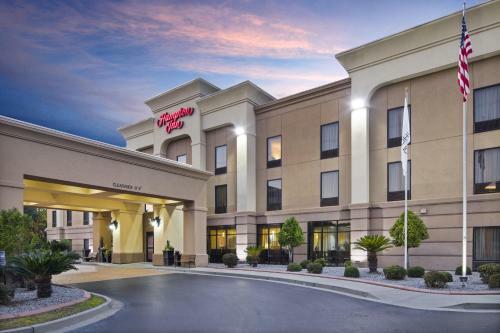 Hampton Inn is about one mile from Fort Stewart Army Base and four miles from Fort Stewart Museum. The colonial Midway Museum is about 10 miles away. Guests can learn about the African-American pioneer experience at Seabrook Village 30 minutes away then drive a few miles further to explore early U.S. military history at Fort Morris State Historic Site. Historic Savannah is 39 miles away. 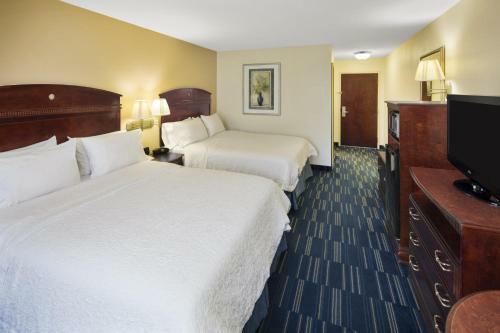 Savannah/Hilton Head International Airport is 34 miles from the hotel. 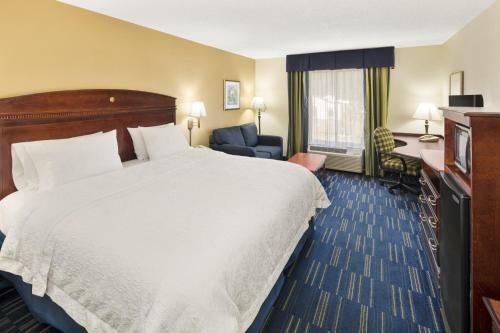 Add Hampton Inn Hinesville Ga to your free online travel itinerary.